They are a range of medications that are used for some types of mental distress or disorder – mainly schizophrenia and manic depression (bipolar disorder). They can also be used to help severe anxiety or depression. Antipsychotics are drugs that are used to treat symptoms of psychosis such as delusions (for example, hearing voices), hallucinations, paranoia, or confused thoughts. They are used in the treatment of schizophrenia, severe depression. and severe anxiety. Antipsychotics are also useful at stabilizing episodes of mania in people with Bipolar Disorder. Older antipsychotics tend to be called typical antipsychotics, and antipsychotics that have been developed more recently are called atypical antipsychotics. Atypical antipsychotics are less likely to produce extrapyramidal side effects (such as tremor and Parkinson’s-like symptoms) and tardive dyskinesia (abnormal, repetitive facial movements). Atypical antipsychotics are also more likely to improve cognitive function. Clozapine (classed as an atypical antipsychotic even though it is quite an old drug) also improves delusions and hallucinations and reduces the risk of suicide. Antipsychotic medications can reduce or relieve symptoms of psychosis, such as delusions (false beliefs) and hallucinations (seeing or hearing something that is not there). Formerly known as major tranquilizers and neuroleptics, antipsychotic medications are the main class of drugs used to treat peo​ple with schizophrenia. They are also used to treat people with psychosis that occurs in bipolar disorder, depression and Alzheimer’s disease. Other uses of antipsychotics include stabilizing moods in bipolar disorder, reducing anxiety in anxiety disorders and reducing tics in Tourette’s syndrome. Antipsychotic medications can help to calm and clear confusion in a person with acute psychosis within hours or days, but can take up to four or six weeks to reach their full effect. These medications can help to control symptoms, but they do not cure the underlying condition. When taken over a longer term, antipsychotics can help to prevent further episodes of psychosis. While antipsychotic medications can help some people with psychosis and mood disorders, at the same time these drugs can have serious side-effects. The aim of medication treatment is to reduce and control symptoms while keeping side-effects at a minimum. Taking care of your physical health is especially important if you take antipsychotic medication. Both schizophrenia and the medications used to treat it can increase the risk of diabetes and other serious health problems. Getting regular checkups and medical care can help you to have good physical health. Eating a nutritious diet, exercising regularly and getting enough sleep can also help you to get and stay well. The basic aim is to help you feel better, without making you feel slowed down or drowsy. However, high doses may well make you feel too sleepy or ‘drugged up’. They can be used in higher doses if you become very overactive, agitated or distressed – but this should usually only be for a short time. Psychosis is believed to be caused, at least in part, by overactivity of a brain chemical called dopamine, and antipsychotics are thought to work by blocking this dopamine effect. This blocking helps to make the symptoms of psychosis—such as voices and delusions—less commanding and preoccupying, but it does not always make them go away completely. People may still hear voices and have delusions, but they are more able to recognize what isn’t real and to focus on other things, such as work, school or family. Hallucinations (such as hearing voices). Delusions (having ideas not based on reality). Extreme mood swings that are associated with bipolar disorder. Antipsychotics affect the action of chemicals in the brain called neurotransmitters. These are chemicals which brain cells need to communicate with each other. Dopamine is the main neurotransmitter affected by antipsychotic medication. If parts of the dopamine system become overactive, it is thought that they may cause hallucinations, delusions and thought disorder. Dopamine is also involved in muscle movements. Most antipsychotics are known to affect other neurotransmitters such as serotonin and noradrenaline, which are both thought to be involved in regulating mood. Taking antipsychotic medication will not change your personality and antipsychotic medications are not addictive. When starting an antipsychotic medication, give it time to start working properly. Most antipsychotics seem to be equally as good at controlling psychotic symptoms – Clozapine is the exception and is described later. Even so, individuals react differently to them, particularly with the side-effects. We cannot predict how well a particular person will respond to a particular drug – even whether a newer, or older drug, will be more helpful. It can often take some time, negotiation and ‘trial and error’ to find the best antipsychotic for a particular person. 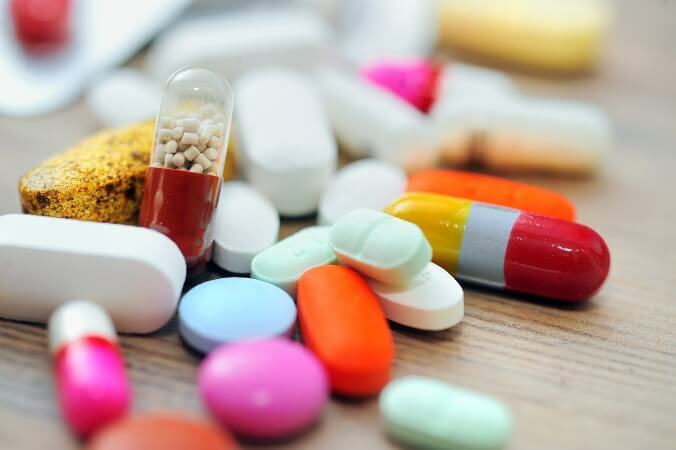 The antipsychotic medication you are prescribed will depend on the severity and nature of your illness, other medical conditions you may have, your response to medication and other things – for example if you need your medication in a different form such as an injection instead of pills. Different people respond differently to antipsychotic medication, so finding the one that is best for you may be a process of ‘trial and error’, where you may have to try a few before you find the antipsychotic medication that is right for you. It can take time to find the right type and dose of medication to manage your symptoms. Also different antipsychotic medication may have different side effects. When deciding on the best medication for you, it is important to discuss with your doctor what the possible side effects are and how they may impact your lifestyle. The following resource provides more information about things to think about when choosing antipsychotic medication. Be aware that this is from another country and may have information that differs from New Zealand recommendations. They may also help ‘negative symptoms’ (poor motivation, lack of interest, poor self-care), on which the older drugs have very little effect. Some people find the side effects less troublesome than those of the older medications. The main drawback is that it can affect your bone marrow, leading to a shortage of white cells. This makes you vulnerable to infection. If this happens, the medication is stopped at once so that the bone marrow can recover. So, if you take Clozapine you will need weekly blood tests for the first 6 months and 2 weekly blood tests after that. It can also cause weight gain, constipation, over-production of saliva and make epileptic fits more likely. Certain antipsychotic drugs cause significant weight gain and high cholesterol levels, and they may increase the risk of diabetes. People considering an antipsychotic for bipolar disorder should be screened for their risk of heart disease, stroke, and diabetes, according to a study published in Diabetes Care. Older antipsychotic drugs are also generally not used as a first-line treatment for bipolar disorder, and they are less established for treating depressive symptoms or preventing episodes during long-term use. However, they may be helpful if a person has troublesome side effects or doesn’t respond to the newer drugs. Older antipsychotics include chlorpromazine (Thorazine), haloperidol (Haldol), and perphenazine (Trilafon). These drugs may cause a serious long-term side effect called tardive dyskinesia, a movement disorder characterized by repetitive, involuntary movement like lip smacking, protruding the tongue, or grimacing. Newer atypical antipsychotics also have the potential to cause this side effect, but are thought to have a relatively lower risk than the older conventional antipsychotics. The medications deutetrabenazine (Austedo) and valbenazine (Ingrezza) have proven effective in treating adults with tardive dyskinesia. Antipsychotic medication can cause unpleasant side-effects, especially when the symptoms are severe and a higher dose of medication is used. Side-effects should become mild or at least tolerable when the dose is reduced and as your body adjusts to the presence of the drug. Most side-effects will go away when you stop taking the drug. There is a risk, however, of a condition that causes people to make involuntary movements, known as tardive dyskinesia, which can be permanent. Some people accept the side-effects as a trade-off for the relief these drugs can bring. Others find the side-effects distressing and may choose not to take the medication. Check the information given to you by your doctor or pharmacist to find out the specific side-effects of any drug you have been prescribed. If you are troubled by any of these effects, it is best to continue to take your medication as prescribed and let your doctor know as soon as possible. Side-effects vary depending on the type of medication. More information on side-effects is included with each type of antipsychotic. make a similar list – with someone you trust and who knows you well – of what other people might notice if your symptoms start to return. Your doctor will want to monitor you regularly for side-effects if you take an antipsychotic. The tests needed and how often you will need to have them depend on which antipsychotic you are taking. How many blood cells you have. How much lipid (fat) is in your blood. When you take clozapine your white blood cell (leukocyte) and differential blood counts must be normal before treatment is started. After beginning treatment, a full blood count should be taken every week for 18 weeks then at least every two weeks after that. If clozapine is continued, and the blood count is stable after one year, then monitoring should occur at least every four weeks, and for four weeks after finishing. These tests may be repeated in the first three or four months of treatment. After this they are normally done every year. However, your doctor may advise you to have these tests more often. Your weight and blood pressure are usually measured before you start treatment and every few weeks after this for the first few months. After this they are normally measured every year. The blood level of prolactin (a hormone) may also be measured before starting treatment and six months later. Usually it is then measured every year after this. The prolactin level is measured because sometimes antipsychotics can make you produce too much of this hormone. If you make too much prolactin it can lead to your breasts growing bigger and breast milk being produced. There are no antipsychotics that are clearly ‘better’ than any others. Clozapine is more effective, but has potentially dangerous side-effects and means that you have to have regular blood tests. The best thing is to weigh up the benefits and risks of the different medications with your psychiatrist. Write down the things you are worried about before the appointment so that you don’t forget anything important.